What are the most comfortable office chairs? This is a question that we get asked and it can often be difficult to answer. Some people find different features and designs to be more comfortable than others. The application that the chair is being used for will often be important in dictating which chairs will be most comfortable. We asked ourselves how we could come up with a way to measure certain aspects of chair comfort that could be subjective based on the person using the chair. The best way that we could come up with was to get feedback from our entire staff so that we could get the opinions of many, instead of one. We recently brought in and tested over 20 different office chairs. We used our staff to come up with the scores for three different comfort categories: seat comfort, arm comfort and back support. We then averaged the scores to come up with the final number for each category. 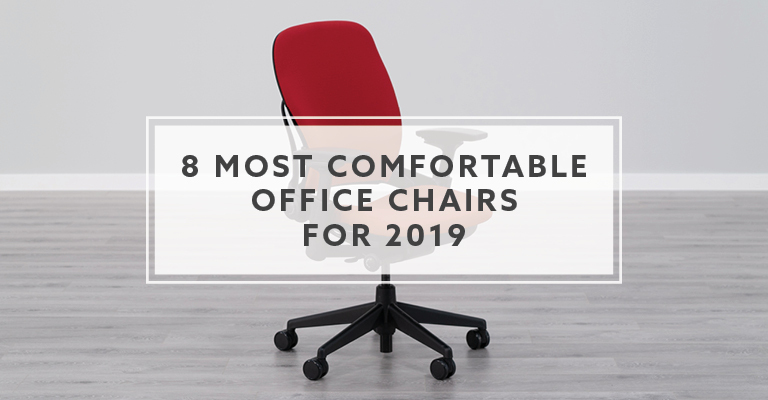 The chairs featured on this list are the chairs that did the best in our office wide comfort tests. Full Disclaimer: We are an office furniture dealer and sell some of the products we review. To learn more about the products we sell, our review process and why you can trust us, please visit: Why we’re different. Who is BTOD.com and The Learning Center? The first chair on our list is the Leap chair by Steelcase. 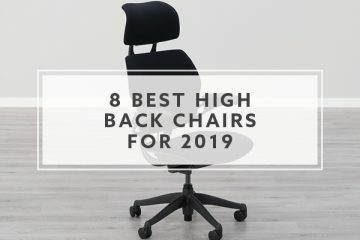 This was our #1 pick for best office chair for 2019 and a big reason for that is how well the Leap did in our comfort tests. 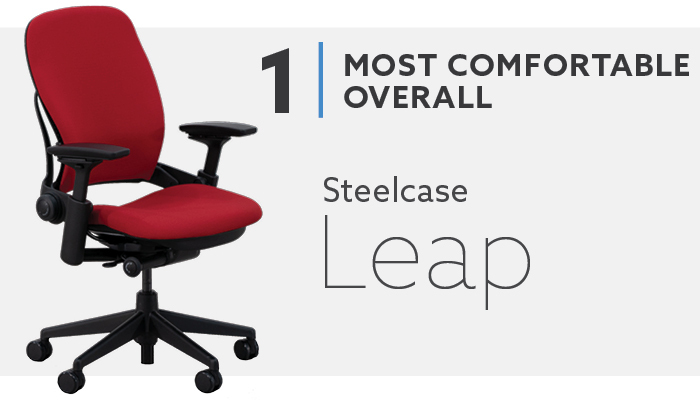 The Leap has the highest average score when considering only the three comfort tests. This is also the only chair we tested that received at least an 80/100 on each comfort category. The seat received high marks because it has good padding, but it is not thick. It does not make you warm when sitting in the chair, like thicker padding, but you also have a soft and supportive seat. The seat doesn’t have any restrictive edges and the plastic seat pan is flexible. This allows you to use the entire seat and you also have a large range of movement because the seat will bend and move with you. The backrest tested very well because it has good adjustability while providing excellent support. The backrest is flexible like the seat, so you are freer to move around than other chairs. The backrest has a recline function with tension adjustment and five lockable positions. The Leap’s backrest will go into a full upright position, which is great for people that like to sit straight up. The Leap also has great lumbar support with a natural curve in the backrest and a dual adjustment lumbar support system. You can control both the height and the pressure of the lumbar. The final reason for the Leap being such a comfortable chair is the 4-way arm option. The arms are among the most comfortable we have tested. The arm pads are soft and a bit squishy. They are big enough to give you plenty of room to work with. Where they really excel is their adjustability. They are height, width, depth and pivot adjustable. They also fully articulate between those positions. They really give you a ton of different positions to work with. The biggest downside with the Leap Chair is its high price point. To make this one of the most comfortable chairs, you need to add the 4-way arms, which brings the price to $998.00. If you choose to go with leather or a headrest, the price can jump to $1685.00. While the Leap has a lot to offer, the price will be too high for what some people are willing to pay. The second chair on our list is the chair that received the best back support score of any chair with an 88/100. This score really helped to make this one of the most comfortable chair options. The back is a flexible mesh that conforms to the person in the chair. It lets you sink into the back and gives you good mid to upper back support. The backrest has a really pronounced curve which gives it a great shape for good lumbar support. 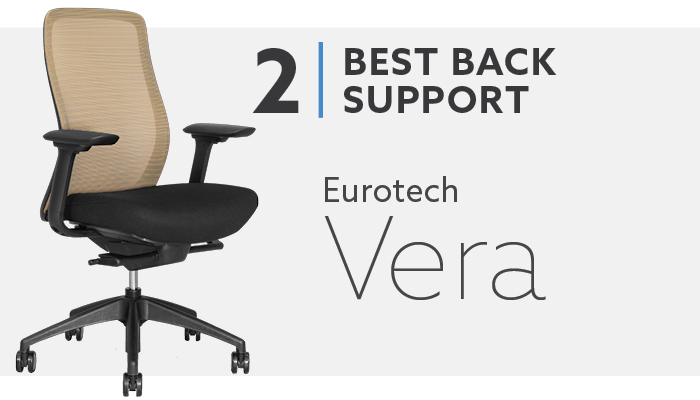 Even without back height or lumbar adjustments, the Vera received the highest back comfort score by a pretty wide margin. The backrest on the Vera is great but it wouldn’t be on this list for the backrest alone. The seat is another strong point for. It features a thick padded seat with a slight contour. The padding lets you sink in a bit, but it doesn’t bottom out. It holds its shape well and remains comfortable after long hours. The armrests didn’t quite score in the 80’s, but they were the 4th ranked armrests we tested. They have nice adjustability with height, width, depth and pivot capabilities. They also have unique arm caps. They have rounded edges on the sides but not on the front or back. This removes the most common edges you come into contact with. The arm pads are a bit firm but still comfortable. One potential problem with the Vera is that it is a mid-market chair, so it has a middle of the road build quality. The mesh is not the same level as an Aeron or Diffrient Smart. We have found that it can be a bit abrasive and can cause problems with fuzzy clothing. Another issue is that if you are under 5’4” will want to use a footrest to make sure you can be in the most comfortable posture. The seat height range is a bit higher than optimal if you are less than 5’4”. 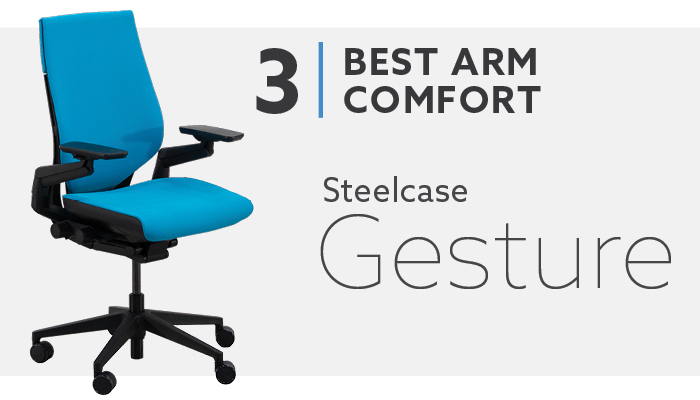 We have another Steelcase chair in the top three for most comfortable office chairs. 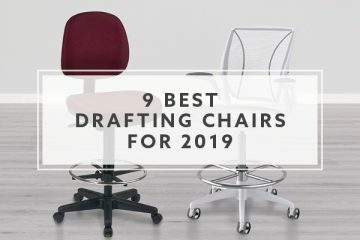 The Gesture was an impressive chair and ended up tied with the Leap in overall score on our big list of best office chairs. One of the biggest reasons for the chair being so comfortable is the armrests. The arms have a design that is completely unique to the Gesture. Their adjustment range is massive. You have height, width, depth and swivel functions. The pads are also comfortable. They are large enough to give you good space and they are squishy, so it feels nice when you have to put a little more weight on them when shifting around. The seat is another good point of comfort on the Gesture. This is a seat design that will be comfortable for most people. Steelcase didn’t do anything crazy. They just made a safe, comfortable seat design. It is large with soft edges and it has about 2” of foam. The foam is like the Leap chair. It is supportive for long hours without being thick. The final comfort category is back support, which the Gesture also did well in with a top five score. The backrest on the Gesture has a natural lumbar curve and higher back than the Leap chair. It offers mid to upper back support if you are 6’4” or shorter. The lumbar height adjustment allows you to position the curve where you want it. The Gesture’s backrest also has a cool flex to it, even when locked. This flex, along with a back design with no pronounced frame, gives you the ability to move around freely. The one major downside with the Gesture is the high price tag. To get the amazing arms, the chair ends up being over $1,000. The chair is good quality and has some of the best adjustability you can get, but that still won’t be worth it to some people. Another potential issue is that some people felt that the lumbar support could have been a little more pronounced. You do not have the ability to make the lumbar more pronounced, like the Leap chair offers. 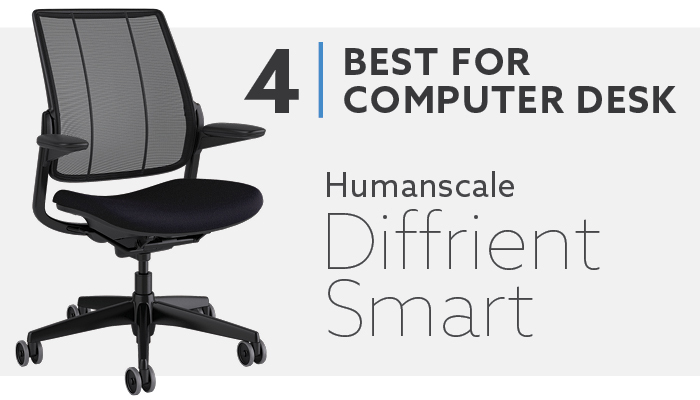 The Diffrient Smart has the 4th average comfort score out of all the chairs we have tested. This is a task chair that excels when placed at a computer desk. It received scores of 80 for the seat and back. The seat design is very similar to the Leap. The seat pan is made of a flexible injection molded plastic. There is no frame around the seat edge and the plastic is flexible. This allows the seat to bend and move with you. The seat has a slight contour and the lack of a frame means you can use the entire seat comfortably. Like the Leap, the Diffrient Smart has about 2” of high-end foam that offers a supportive experience for long hours. The Tri-Panel mesh backrest was a hit in our office. The mesh is soft and conforms to you. The three different panels allow them to act independently and flex at different levels to conform to different body types. The entire backrest is curved and there is a slight pivot function that allows the backrest to wiggle. This allows the angle to change so that the lumbar curve can fit people even better. The arms also offer good comfort, placing in the top six. They are height, width and depth adjustable. The ranges are not as large as the Steelcase chairs on this list, but they still offer a good amount of positions. The pads are also comfortable. They are made from a urethane type of material. They are soft and squishy. One main concern with the comfort on the Diffrient Smart is that this chair has a weight sensitive mechanism with a recline that opens your leg angle, instead of allowing you to naturally rock back. With most chairs, the seat will recline with the back to keep you in a similar position as you lean back. The Diffrient Smart lifts the back of the seat as you recline. This is nice for tasking at a computer but may be a problem for people looking to use this chair for other applications. The BTOD Akir nabbed the 5th place spot for average comfort score. The Akir’s claim to fame is its seat. 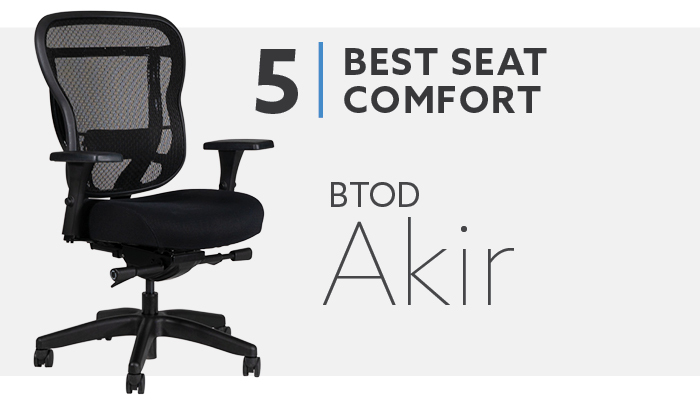 The Akir received the highest seat comfort score out of all the chairs we have tested. It features a thick padded seat and the padding is softer than most chairs. You sink into the seat quite a bit, but you do not bottom out. There are no hard edges on the seat, and it is very spacious. This is a great option for people that are looking for a soft, cushy seat that doesn’t bottom out and remains supportive for long hours. While the seat is the main selling point on the Akir, it also has a comfortable backrest. It was tied for the 5th ranked chair for back support. The mesh is supportive and conforms to your body. The backrest is large and offers support for your mid and upper back. It features a natural lumbar curve and an adjustable lumbar support system. The lumbar is quite pronounced and you can adjust the height so that it is placed right in the curve of your back. The armrest comfort score is not as strong as the seat and back. The arms ranked toward the middle of the list, but they still offer good comfort. The arms are not squishy, but they also aren’t hard plastic. There is a bit of a softness to them, so they do not become uncomfortable like hard arms do. The arms also have 4-way adjustment so they can accommodate a lot of different arm positions. One potential issue with the Akir is that it has a low to mid-level build quality. The mesh is not as soft and springy as high-end chairs. The backrest frame may also be a bit uncomfortable if you are moving a lot in the chair because there are times that you will come into contact with it. Another possible issue is that the arms may not go low enough for your preferences. They do not always go low enough to be out of the way and could be a bit tall if you are under 5’4”. 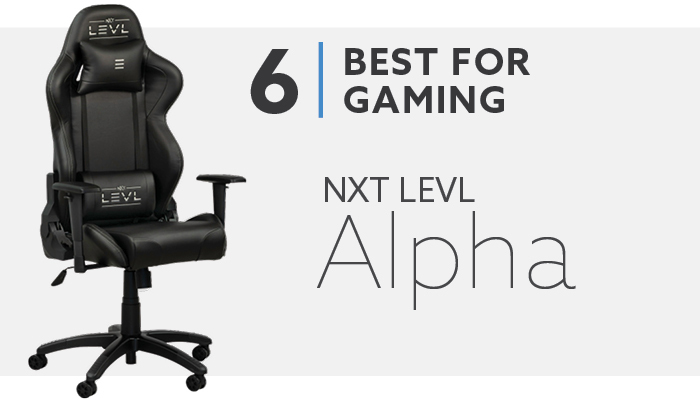 The NXT Levl Alpha chair is the most comfortable gaming chair we have had the opportunity to test. We have brought in and tested seven prototypical racer gaming chairs and the Alpha had the top average comfort score in the group. One problem with gaming chairs is that most seats are either really firm or they are soft but bottom out. The Alpha uses thicker cold cure foam than the other chairs we tested. It offered more comfort than the lower quality cut foam on most models. Another thing that made the Alpha seat more comfortable than the other models is that most gaming chairs have side bolsters on the seat to make you feel more like you are in a race car. These bolsters are usually steel and can be restrictive and uncomfortable. The foam on the Alpha is thick enough to lift you higher in the seat to avoid the bolsters more so than other chairs. The backrest on the Alpha also has some nice things going for it. Most gaming chairs have a flared out design toward the top and often the metal is curved inward, which can be restrictive, similar to the seat. The angle of the flares on the Alpha are not pointed as forward so you can use the chair without having your shoulders pointing forward like other models. The back also comes with an adjustable lumbar and headrest pillow. These do not offer the same support as high-end lumbar systems, but they do help to make the chair a lot more comfortable. The armrests are not going to offer a ton of functionality, but they are nice for a gaming chair. They have height adjustment and soft arm pads. The pads also have slanted edges, so they are comfortable to lean on and game with. The biggest downside with the Alpha chair is its low end build quality. This chair is comfortable for a racing style gaming chair, but it is important to temper our expectations with gaming chairs. They are really specific in their design and are typically priced quite a bit lower than ergonomic office chairs. We cannot expect the same functionality or comfort from a $299 gaming chair as we do from a $1000 ergonomic chair. Another downside with the Alpha is that it is designed for mid to smaller sized people. It is tough to make a race style gaming chair that will fit the masses. The Alpha is made for people that weigh less than 220 lbs. and have a slim to athletic build. 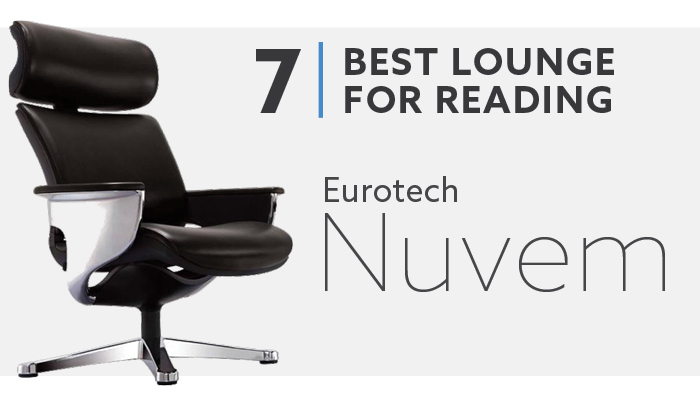 The Nuvem is our pick for most comfortable office lounge chair. This is a great recliner for reading or laptop use. It is a leather chair that comes with a headrest, ottoman and accessory arm that can be used to hold a laptop or tablet. You have your choice of top grain white leather with a teak frame finish or black top grain leather with a aluminum frame finish. The Nuvem seat offers great comfort. This is your typical oversized plush leather chair that you want to just kick back and relax in. The seat has multiple layers of molded foam, memory foam and temperature adjust tech foam. The seat is large at 23” wide and there are no awkward edges or pronounced frame. The front of the seat has a waterfall edge and it is comfortable to use the seat in a variety of different relaxing postures. The backrest also offers optimal comfort. It features a similar foam set-up as the seat. It is large and features a natural lumbar curve. There is also a nice, big headrest that features height adjustment. It goes the full width of the backrest and offers the same foam and leather as the back and seat. The back also has a recline function with lockable positions. The arms are also perfectly set-up for a lounger. They are massive, well padded and have an attractive design. The padding and leather make them very comfortable. It is also nice having such large arms on a lounge chair because they allow you to use the chair in a lot more positions than just the standard sitting position. You can also adjust their height and width to position them right where you find them most comfortable. One major downside with the Nuvem is that it costs more than $2,000. Honestly, this is a fair price for what you are getting. A similar chair from Herman Miller will cost well over $5,000. But, at the same time, not everyone wants to spend over $2,000 on a lounge chair. Another possible downside is that you only have two color combinations on the Nuvem, and leather is the only option. If you want something like a brown leather or even a different upholstery type, then the Nuvem isn’t the best option for you. 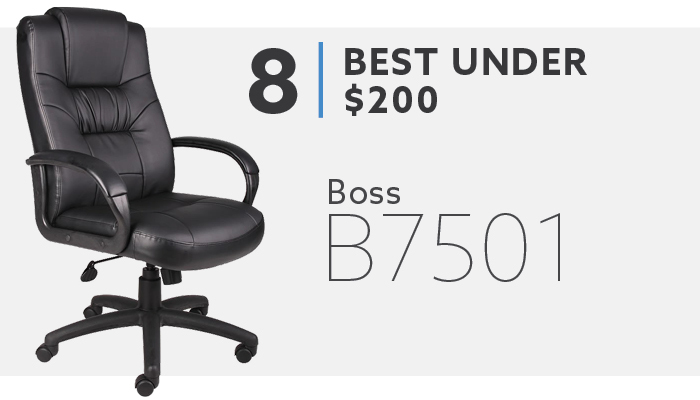 If you need a comfortable chair and have a budget less than $200, then I would recommend taking a look at the B7501 by Boss. This chair is upholstered in LeatherPlus, which is a fake leather. It won’t be as nice as real leather, but it is easier to clean and keeps the cost way down. The B7501 features a 30” high back design and a 21” wide seat. The chair is spacious and has extra thick cushions. The chair is really cushy and will work for a lot of applications. This can be a nice home office chair, conference chair or even an executive chair. The backrest has built-in lumbar support which helps to keep your lower back from getting sore from a poor posture. You also get seat height adjustment to help ensure you are at the proper height. The chair comes standard with swivel tilt, tension adjustment and an upright locking function. You can upgrade to a knee-tilt mechanism and the chair will still be under $200. A knee-tilt mechanism has a more natural and comfortable recline than a swivel tilt. The B7501 comes with padded loop arms. They offer a comfortable solution to rest your arms. The B7501 is priced below $200 for a reason. It provides good value for people that need a comfy chair for a low price, but it won’t have the same quality or warranty coverage that higher quality products do. This is also not a good option if you need an adjustable chair. The B7501 has basic functionality and allows for very little customization with the chair set-up. 1. What Are the Most Comfortable Office Chairs? This question is not something you can answer by providing a single chair or even a handful of chairs. The answer will depend on so many variables that there is not one that works for everyone. Without knowing your specific preferences and what you will be using the chair for, we can only offer suggestions that will be good for the most people. 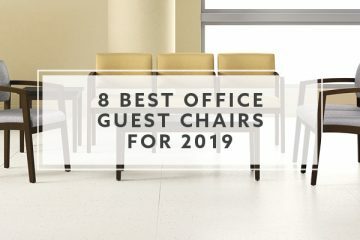 I would highly recommend checking out our list of best office chairs for 2019 because there is a table that shows the scores for all the chairs for each category. It really lets you focus on chairs that scored high on the things that you consider to be most important. One thing that does seem to be fairly consistent is that you get what you pay for with an office chair. There is a reason that brands like Herman Miller, Steelcase and Humanscale are known for their high-end chairs. Chairs from these brands scored very high on our list. They are the most expensive, but you can go with a Leap Chair and be confident that most people will find it to be comfortable. This does not mean that lower end chairs are uncomfortable. That is not true at all. The President of our company sat in a chair for years that we sell for $199.00. But, while he loves the chair, there were a handful of people in our office that did not like it. You can find comfortable chairs for low prices, but the higher priced chairs give you a better chance of liking it. 2. What Makes an Office Chair Comfortable? There are several factors that go into making an office chair comfortable. The first is the upholstery used and its quality. Low end mesh, fabric or vinyls are not going to feel as nice as higher end options. They will typically be more abrasive on your skin and can often be stiff. If you are concerned with having the most comfortable surface on the seat, then I would recommend a high grade fabric or genuine leather. For the back, I would make the same recommendation, but I would also include an open mesh option if the mesh is good quality. The foam that is used is another big aspect of how comfortable the seat and back will be. If the chair is padded, then look for molded foam over cut foam. Higher quality foam will hold its shape better so it will be more supportive. You can often use a thinner amount of foam and still have better support, which allows the seat to be cooler because it has less padding. The next factor is the back support provided. For back support, it is important to look at upper back support, along with lumbar support. It is also important to consider the upholstery on your backrest. We have found that open mesh backs, overall, have done well in the back support category. Look for chairs that have a good natural lumbar curve or adjustable lumbar support system. If you can find a chair with both, it is almost a sure bet to provide good lower back support. If you are concerned with having good upper back support, look for chairs that have the ability to have the backrest go fully upright. This will ensure that you are well supported by the entire back through the entire recline range. Overall adjustability is the next factor that impacts the comfort on an office chair. Typically, the more adjustable a chair is, the more comfortable it has the potential to be. There are some outliers. Chairs that have weight sensitive mechanisms have less adjustability, but many people find them more comfortable than traditional mechanisms. Arms are another important factor that impacts comfort. The range of adjustability and the comfort of the arm pads both play key roles. The adjustability of the arms will help to keep your arms in comfortable positions. The larger the range, the more positions they can be in to keep you supported throughout the day. The arm pads can also make a big difference. We have found that large, soft padding is preferred to small, firm pads. Large pads give you more freedom of movement and soft pads are more comfortable than resting your elbows and forearms on a hard surface. The final factor that can greatly impact the chair’s comfort is the extras that can be added to it. Things like gel padding for arms, or memory foam for the seat can be game changers for some people. A headrest is another popular accessory that people feel really adds to the comfort of a chair. 3. How Can I Make My Chair More Comfortable? If you have an uncomfortable office chair, then unfortunately, there are not a lot of ways to make the chair more comfortable. You can try some accessories, like an extra seat pad or lumbar support. You can see if something, like a footrest, helps with your posture to make the chair more comfortable. You can try to add upgrades to your chair if they are available. Maybe you can add a headrest or better arms. If these options do not work for you, then you will probably need to start your search for a new chair. Different postures will be comfortable for different people. The one way to sit that is almost universally recommended is the typical ergonomic position with your knees, hips and elbows at 90°. This posture will put the least amount of stress on your joints and muscles as possible, which helps to reduce muscle fatigue and soreness. Most office chairs are designed to be used in this position, which is another reason why it is a good go to method. This is a recommended position for proper ergonomics but there are other ways to use an office chair comfortably. Most office chairs have a recline function. If you like to recline, it is important to know the different options so that you know what to look for and what to avoid. If you enjoy rocking in your chair, then I would recommend a knee-tilt or synchro-tilt mechanism. The knee-tilt mechanism will rock from a point just behind your knees. It keeps the backrest at the same angle and acts similarly to a rocking chair. The synchro-tilt mechanism reclines the back at a faster rate than the seat angle change. It is less of a rocking feeling, but you are still in a nice supported position through the recline. This is the most commonly used mechanism on ergonomic chairs. 5. Are Mesh Office Chairs Comfortable? The answer to this question is yes and no. We have found that mesh backs are really successful. They have a lot of good things going for them. They are breathable, which is especially nice for the backrest because it is typically the area that gets warm and sometimes sweaty while working for long hours. Mesh also has a form fitting property so it can conform to different people. This allows it to be comfortable for a wide group of body types. We have found that mesh chairs are capable of providing great back support without having any adjustability or a separate lumbar support system. Mesh can also be comfortable to the touch. High-end mesh will have a good combination of fabric woven into the mesh to make it softer. High-end mesh, like the 8Z Pellicle on the Aeron, is more comfortable to the touch than a lot of fabric chairs we have seen. While mesh can be really good, that will not always be the case. Low quality mesh may not have the positive aspects discussed above. It can be coarse, and it can also lack elasticity which makes it feel less supportive than good quality mesh. We have also found that open mesh seats are really hit or miss. People seem to either love them or they really dislike them. Pronounced frames that can be uncomfortable are a common complaint on open mesh seats. They also offer a firm sitting experience which is a turn off for some. Overall, I would say that mesh backs as a whole category are comfortable. This is not true for all of them, but will offer some level of decent comfort. I do not feel the same way about open mesh seats. A padded seat with a mesh back is a much safer choice for putting together a comfortable chair. Office chair comfort is really subjective. We did our best to put together a testing method to remove as much subjectivity as possible. By taking the opinions of people with ranging shapes, sizes and preferences, we were able to find out which chairs were preferred by most. Obviously not all the chairs on our list will be comfortable options for everyone. We hope that you can find an option that works for you. If you can’t, we hope that you have enough useful information to be confident in your search for the most comfortable chair. Ryan Bald is the Vice President of BTOD.com and has been working in the office furniture industry for 15 years. If he’s not in the office you can find Ryan on the golf course, on the lake or at home with his wife, son and English bulldog! Steelcase Leap Chair vs. Steelcase Gesture Chair: Which is best?